Nearly 6 months later and these guys are still white. 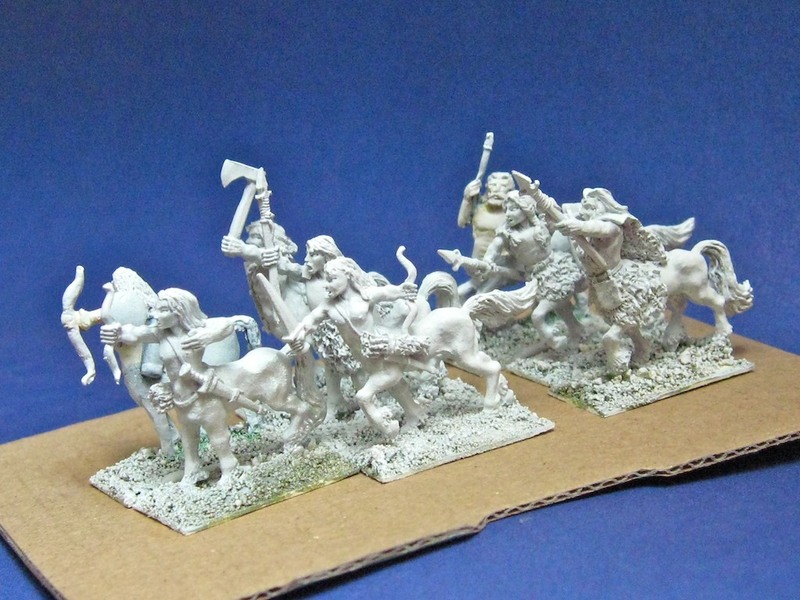 Having said that, I’ve a few more 15mm centaurs I’ve bought since to add to the herd. What is the collective name for a group of horses? It depends on the situation. They can be a Troop (military), a Team (agricultural), a Herd (wild), a Harras (hunting) or a Stable (racing). They can also be a bloody nuisance if you are following them down a country lane. I can tell you from bitter experience, if you own them, they are far more than a bloody nuisance. A bloody expensive nuisance. What’s a group of centaurs called though?